Key Insight - The Chip's Challenge Wiki - The Chip's Challenge Database that anyone can edit! Be careful with your locks, they can't be replaced. 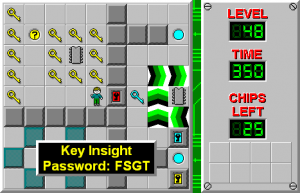 Key Insight is the 48th level in Chip's Challenge Level Pack 4. It was created by Jeffrey Bardon. Do not open the blue lock adjacent to the teleporter or you will be unable to proceed. After reaching the room in the bottom-right of the level, pick up the chip then press the blue button. After the tank has moved out of the way, navigate through the blue wall maze, picking up the blue key and pressing the toggle button. Exit the blue wall maze through the recessed wall on the left. Pick up the chip surrounded by invisible walls and proceed north to the next room. 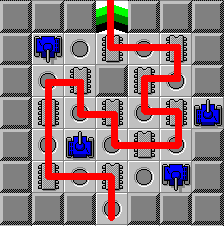 In the next room, collect all the chips using the green key, exit the room to the right and repeat the same tank dodging trick from the beginning of the level. 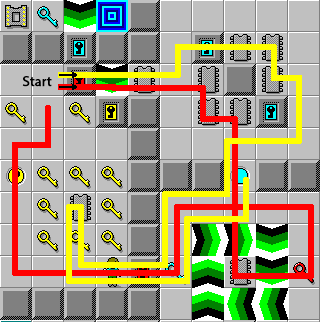 Enter the socket and pick up the third blue key in the level. You must get rid of the two blue keys you are holding before you can exit the level. Return to the main room, without picking up and yellow keys, and proceed through the same top right room from before. 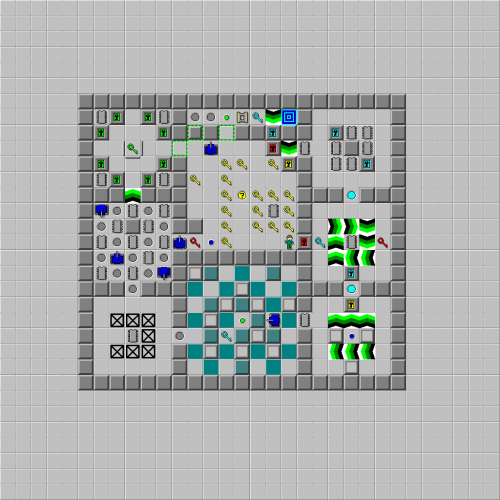 Use one blue key on the lock in this room, then go around to the room below to unlock the second blue lock. Finally, return to where you cleared the socket and proceed to the exit.